Fete day dawned rather grey and drizzly but a decision was made and we set up our stalls outside in the Church gardens. 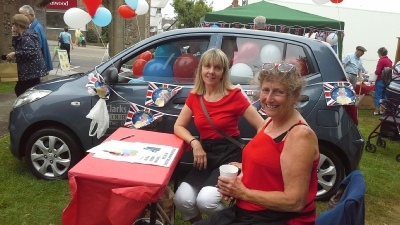 As well as the usual stalls and games we had borrowed a car from Clarks Autos and filled it with balloons with a prize for guessing how many we had managed to cram in - the answer was 178 (I was miles out). 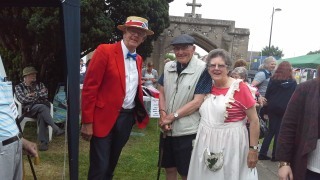 Despite the weather, it was a really successful day with £2,623 being raised for Church funds.